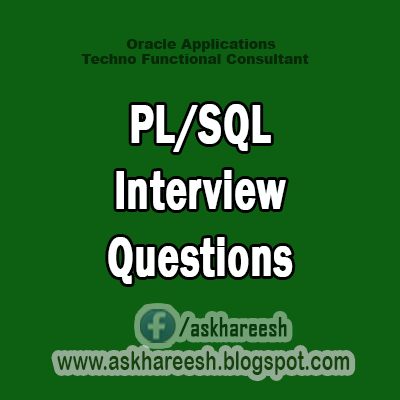 Rate your self in sql and pl/sql out of 5? Tell me about your self and your current project? What is dml, ddl, dcl, tcl commands? What is joins? What is outer joins available, tell me about briefly? What is sequence? Tell me the syntax? What is index? What type of indexes available? What is cluster and bitmap index? What is synonym? Tell me the syntax? What is use of synonym? Can we create a synonym on view? What is Cursor? What is the use of cursor? What type of cursors available? Explain? Write the syntax for cursor? What is the procedure and function? Tell me about the packages and uses? What are the disadvantages of packages? What is the concept of over loading and restrictions? If I gave a select statement, it contains null data; I gave NO_DATA_FOUND AND OTHERS in exception block? What exception will handles and that procedure compiled or not? What are nested tables, array? What is trigger? Write the syntax? What is Autonomous transaction and PRAGMA_INIT? Write your company flow diagram?